Ireland is traditionally known for producing many things in great abundance: Writers, sliceable soap, redheads, and, of course, Shamrock Shakes. 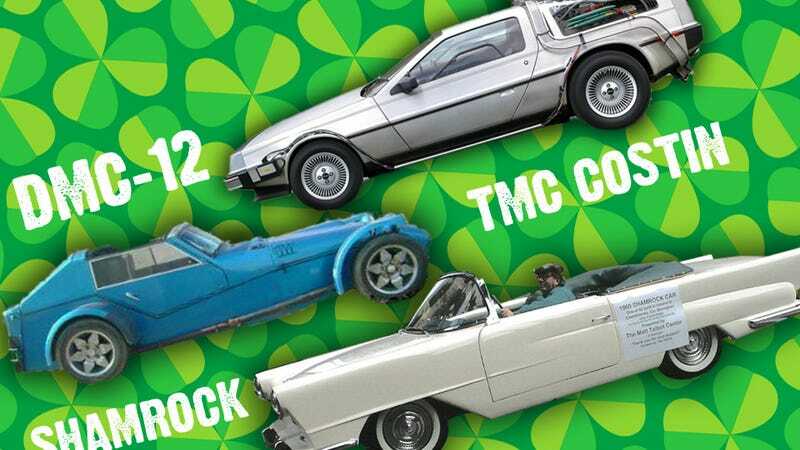 Cars aren't really one of these things, but, since it's St.Patrick's day and I don't want to get pinched, let's talk about the cars that were made in Ireland — all 8,547 of them. Specifically, the DeLorean, which accounted for 8,500 of them — and then the two cars that accounted for the other 47. Most car guys/girls know about one very famous Irish-built car, the stainless steel DeLorean, which does account for 8,500 of all the cars Ireland's ever produced. John DeLorean (father of the GTO) founded his self-named company back in 1975, with the intention to produce a "fun to drive, safe to operate, and long-lasting." car. He achieved, well, one or two out of those three goals, since the V6 engine in it was pretty anemic. Still, the styling of the car has made it a gull-winged icon, and, you know, it's a time machine. DeLorean built the DMC factory in Dunmurry, Ireland instead of his original intended site, Puerto Rico, for the very good reason that Northern Ireland gave him £100 million pounds to do so. And while cars were in fact built, quality was an issue from a population with no auto-building experience and, of course, soon DeLorean's cocaine-trafficking side gig spelled the end for the troubled company, though he was found not guilty because of entrapment. Of course, when I said the population of Ireland wasn't used to building cars, that wasn't really true– they had, in 1959, built eight cars. The car was the Shamrock, a fiberglass, 53 HP four-seat convertible. The Shamrock was the project of American businessmen William K. Curtis and James Conway, with the goal of making a big, luxury car to export to America. The reality of the car was less impressive. The fiberglass body, looking somewhat like a Nash design, had colossal overhangs, not just front and rear, but from the sides as well, so much so that the rear wheels couldn't be removed (say, to change a flat), unless the rear axle was dropped. The mechanicals were taken from the much smaller Austin A55, making the car look like a small English car wearing a big American car costume. Of the production run from the Castleblaney County factory, half survive, one of them in Seattle. The remaining 39 cars are arguably the best car to come out of Ireland, and the only one that survives (in some form) to this day, in some form: the TMC Costin. The TMC Costin was designed by Frank Costin, an innovator in monocoque chassis design and one of the founders of Marcos. The Costin was a sort of Irish Lotus/Caterham Seven: a small, lightweight, purpose-built sports car with a low, cycle-fender'd design. 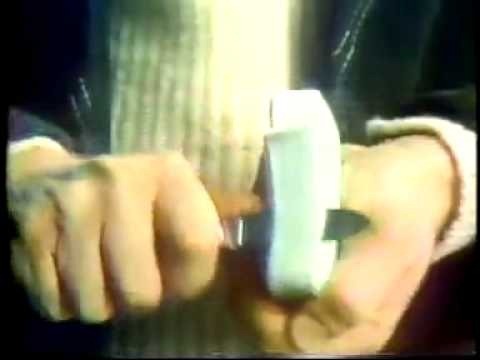 They were built from 1983-1987, with a decidedly leisurely production rate of under ten per year. The Costin's fiberglass body looked similar to a Seven, but was actually somewhat practical, offering over 16 cubic feet of luggage space or, better, two rear-facing child seats for some seriously lucky kids. The chassis was claimed to support engines up to 300+ hp, but the company only offered four Ford lumps, ranging from 84-150 HP. After the company went bankrupt (gotta try for more than ten cars a year, guys), Panoz bought the rights to the sophisticated chassis and frame, redesigned the body, and crammed in a Mustang V8, making the Panoz Roadster, finally realizing the little Leprechaun's true potential. UPDATE: I should have been more clear, but this is about Irish (Northern and otherwise) companies that were Irish-only; that is, not cars manufactured in Ireland by other, non-Irish companies. There were plenty of those! Thanks for reminding me. Also, among many sources, I did use this site, which yes, should have been linked to. My apologies. In hindsight, I think I could have restated the scope of the article, as commenters have provided many good points. So, please consider this a flawed, partial post about the Irish motor industry. Now everyone go get drunk and have fun.